One of the strong claims of my book Reclaiming Information and Communication Technologies for Development (OUP, 2017) is that we now have “Development for ICTs” (D4ICT) rather than “ICT for Development” (ICT4D). In other words, the private sector, governments and civil society are all using the notion of “development” to serve their own ICT interests. This has been reinforced by the 2030 agenda, and an increased emphasis on the ways through which ICTs can indeed contribute to delivering the SDGs, which I have also challenged in my chapter in the ITU’s book ICT-centric economic growth, innovation and job creation (ITU, 2017), as well as in a recent blog post on ICTs and the failure of the SDGs. My frustrations with much civil society work in the field of ICT4D came to the fore in a short Tweet that I wrote on 5th May: “Challenging question: do most international development civil society organisations serve the interests of those who want to try to do good, or the interests of the poorest and most marginalised? How many poor people create such organisations to empower themselves?“. This was shortly before I headed to Lusaka for the ICT4D Conference held there on 8-10 May, the lead partner of which is Catholic Relief Services (the official international humanitarian agency of the Catholic community in the United States), and for which the two strategic partners are Nethope (a collaboration between the 50 leading international nonprofit organizations and the technology sector) and The Norwegian Refugee Council (an independent humanitarian organization helping people forced to flee). I was delighted that the UNESCO Chair in ICT4D at Royal Holloway, University of London, had also been invited as one of the content partners, and it was great to work with colleagues from other content partners to co-lead the education and livelihoods tracks. Nothing that I write below is intended to denigrate the commitment and interests of many of the people organising and attending this conference. Some very close friends were participating, and I made many other new friends. However, the conference forced me to reflect further on my Tweet, and to challenge once again much contemporary ICT4D practice. The conversations that I participated in and overheard (over breakfast, at dinners, and on the shuttle buses) at the conference very much reinforced my view that the arguments of Reclaiming Information and Communication Technologies for Development are indeed important, and that those of us committed to helping the poorest and most marginalised to empower themselves through the use of ICTs still have a very, very touch challenge ahead of us. In short, it seems to me that many of us involved in ICT4D are primarily in it for our companies, our organisations and ourselves, rather than for the people that we claim to serve. To justify this claim, I focus here on three issues: the funding policies and interests of donors, the practices and interests of many of the companies and civil society organisations involved in delivering aid, and the commitment and interests of many individuals involved in these organisations to do good. It is widely accepted that much international aid is a form of neo-imperialism; a way through which donor countries can influence, if not entirely control, poorer recipient countries. At best, aid is a relatively benign, self-centred, form of bourgeois apologetics, through which rich and middle-class people seek to provide support for the poor and marginalised, without necessarily realising that their affluence is in part a direct result of the policies of their states and companies which create such poverty in the first place. At worst, it is a means through which states on behalf of companies, seek to create the conditions through which those companies can extract greater profits; this is done in the name of economic growth, as represented and formalised through the SDGs. It has to be more widely understood that economic growth, largely fueled by ICTs, is leading to considerably increased inequality in the world, and if poverty is defined in relative ways, it is actually therefore leading to an increase in poverty. Participating in the ICT4D conference forced me to go back and look at the levels of funding provided by international donors to major private sector corporations. In 2001, the Development Assistance Committee (DAC) of the OECD recommended that aid to the Least Developed Countries should be untied, meaning in effect that those countries should be able to choose where to spend the aid that they were given; it should not have to be spent on companies and organisations from the countries that provide the aid. As a result, the percentage of tied aid has decreased considerably over the last 15 years or so. However, recently the tide has turned the other way. As a recent DAC report has commented, “In 2014, the share of ODA covered by the Recommendation that was reported as untied stood at 87.1%. This marks a drop of 2.4 percentage points, from 89.5%, in 2013. After a further drop of 3.6 percentage points, the share stood at 83.5% in 2015. The share remains high by historical standards, but represents the lowest figure since 2009”. Not all countries have untied their aid, with the USA being one of the main countries still actively encouraging their companies to benefit from aid spending. A recent report on the Devex platform thus notes that USAID “continues to award the bulk of its contracts to American firms. In 2015, the top 20 recipients of USAID funding were all U.S.-based organizations. Combined, these transactions account for 70 percent of the total USAID spending for obligated contracts for the year, up slightly from 67 percent in 2014”. Several of these top-20 companies sponsored, were partners, and were present at, the ICT4D Conference: Chemonics (ranked 2nd), Tetra Tech (ranked 4th), DAI (ranked 5th), and FHI 360 (ranked 11th) featured prominently. Yet, even those countries that claim to have their aid untied often have very close relationships with large corporations and consultancy companies which gain a surprisingly large percentage of their funding. According to a 2017 UK House of Commons International Development Committee report, the percentage of the total aid budget spent by DFID through contractors operating on a for-profit basis (not necessarily headquartered in the UK), has thus risen from 12% to 22% between 2010/11 and 2015/16. This report goes on to say that “We are also greatly concerned about the appalling conduct of some contractors who have behaved in a way that is entirely misaligned with the Department’s purpose”. Moreover, the UK’s cross-government Prosperity Fund, which “aims to remove barriers to economic growth and promote the economic reform and development needed to reduce poverty in partner countries” is specifically designed to support initiatives that will generate direct benefit to UK companies and organisations. Claiming to have untied aid need not therefore mean that many of the direct benefits of such funding are not within the grasp of companies or other entities based within the donor countries. The ICT sector is strong in many donor countries, and their support for ICT4D initiatives in poorer states is thus but one of the many means through which donor governments directly enhance the competitiveness and profits of their consultancy and ICT companies. This was sadly all too evident from listening to the conversations at the Lusaka conference. The majority of participants at the 2018 ICT4D Conference were from the private sector and NGOs, most of whom live and work outside Zambia. This is scarcely surprising, since the purpose of the conference was primarily to serve their interests. 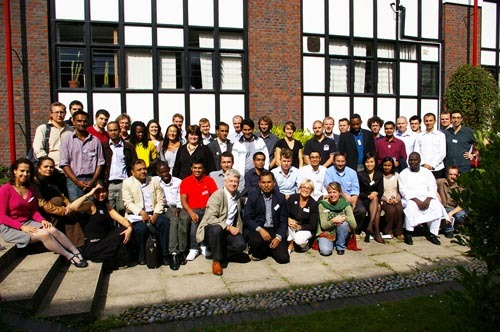 On the platforms, in the workshops, in the corridors, over dinner and on the buses – although perhaps not on the dance floor – the conversations were dominated by concerns over maintaining the viability of such organisations and companies, through enhancing the ways through which ICTs could contribute positively to development in general, and to the SDGs in particular. Where poor people and marginalised communities were mentioned, it was usually merely as “beneficiaries” of the largesse, wisdom and technological expertise of those delivering the ICT4D interventions. Scarcely ever did anyone dare to suggest that these technologies might have a darker side. First, the core interest of many of the participants seemed to be to represent their companies in the best possible light, and thus to gain respectability and prestige that will subsequently enable them to gain more contracts and thus greater profits. If they are honest, the majority of people say that they learn more from their mistakes than their successes. Yet, there was little discussion of mistakes, or even of how the problems associated with ICTs for development can be mitigated. Consequently, generation after generation of people working in ICT4D keep on making the same old mistakes that we made more than two decades ago. This is desperately depressing, especially for the poorest and most marginalised who such interventions are supposedly intended for. Perhaps this version of ICT4D, though, is not actually interested in the needs of the poorest and most marginalised at all, but instead the pay packages of the senior executives of the companies and organisations marketing their wares. Second, the self-assuredness of many of the senior executives of companies and civil society organisations involved in ICT4D was remarkable to behold. For the first time in my life I was told by a speaker from one of the top-20 company recipients of USAID in a session that I was meant to be moderating that he was an experienced speaker and had no need of a moderator! To be sure, I might not be a very good moderator, but neither was he a real expert in ICT4D, at least not as I understand it – but I simply stood aside and let him take the floor on his own. So many of these so-called experts had nothing new to say, and the way that they gave their presentations focused primarily on how wonderful their organisations were in implementing ICT4D programmes, rather than on whether these really made a substantive impact to the empowerment of poor people and marginalised communities. Rarely did I hear anyone talking about what they had learned from listening to the voices and needs of the poorest, and how they sought to deliver on these needs. Third, it was fascinating listening to the conversations of staff within many of these organisations, about the key importance of gaining contracts to build their companies, social enterprises or civil society organisations; it was actually hard to avoid listening to them given the tendency of people from some countries seemingly to shout at the tops of their voices in restaurants or other public spaces! These conveyed overwhelmingly the impression that ICT4D was being used above all else as a vehicle to build their organisations rather than serving the needs of the poorest. Understanding the real interests of individuals involved in delivering international development, particularly through the use of ICTs, is one of the hardest things to do. We all make mistakes that we try to cover up. We all like to be seen to be successful. Most of us like to be seen to be doing good. It was fascinating, though, just listening to the conversations, particularly among many of the brilliantly able young people participating. Most people, but definitely not everyone, participating in the conference, were there because they truly wanted to do good, and they believed that they were indeed doing so. Again, the failure to look sufficiently at the dark side, and the actual harm that many ICT4D initiatives have done, was cause for concern. If only more people could focus on the challenges in using such technologies, then perhaps things could be different. To be sure, there were also plenty of people who made no real claim to do good, but rather focused explicitly on the business models of their organisations and how they could ensure greater profitability. However, I suspect that many of even them began their careers thinking that they could indeed do good for others as well as for themselves. Much more worrying was that all too often the conversations degenerated into discussions about sources of funding for their next projects, or how to gain financial support from particular donors. Rarely did after-dinner conversations focus down on such issues as listening to the voices of the poor and marginalised, and truly trying to understand how we can design and implement technologies that will indeed serve their interests. Of course there were some such discussions, but they seemed to be in a small minority. The pressure of career success, following the “logics” of the organisation employing you, seeking to build its success, and wanting to gain promotion by doing the “right” thing, all mean that it is the interests of the companies and organisations delivering ICT4D that seem to prevail, rather than those of the poorest and most marginalised. There were many great moments in the conference, and I learnt a lot – perhaps not so much about how ICTs can indeed empower poor people, but certainly about the power of the beltway bandits in delivering USAID projects. I share these reflections with constructive intent, primarily to encourage wider debate on the interests underlying ICT4D initiatives across the world. I hope I am wrong, and that these do not primarily serve neo-imperialist governments and the companies that they seek to empower that are headquartered within their territories. Most people attending the ICT4D Conference in Lusaka were there in the belief that they were indeed doing good to others. Few, I imagine, ever thought that they were there primarily to do good to themselves and their organisations. I hope that by sharing these thoughts I will encourage greater reflection, and thus the enlightenment and empowerment about which I wrote in Reclaiming Information and Communication Technologies for Development . I am delighted to have been asked to moderate the session on “Making money from meeting the SDGs?” at ITU Telecom World in Bangkok on Monday 14th November (4:45 PM – 6:00 PM, Jupiter 10), although I wonder a little why I have been chosen for this task given my past criticisms of the SDGs! Perhaps the “?” in the session title will give me a little freedom to explore some of the many challenges and complexities in this theme. Following in the footsteps of the Millennium Development Goals (2000), the globally agreed Sustainable Development Goals (SDGs) still generally focus on the idea that economic growth will eliminate poverty; indeed, they assert that poverty can truly be ended. This is a myth, and a dangerous one. For those who define poverty in a relative sense, poverty will always be with us. It can certainly be reduced, but never ended. It is therefore good to see the SDGs also focusing on social inclusion, with SDG 10 explicitly addressing inequality. We need to pay much more attention to ways through which ICTs can thus reduce inequality, rather than primarily focusing on their contribution to economic growth, which has often actually led to increasing inequality. How can the ICT sector contribute to accelerating the achievement of the SDGs by providing ICT-enabled solutions and building feasible business models? Is the SDG agenda relevant for the ICT industry? What roles should the ICT industry, and its corporate social responsibility (CSR) departments in particular, play in working towards the SDGs? Can the SDG framework provide an opportunity to accelerate transformative ICT-enabled solutions around new solutions like big data or IoT? Underlying these are difficult issues about the ethics of making money from development, and the extent to which the ICT sector is indeed sustainable. All too often, the private sector, governments and even civil society are now using the idea of “development” to build their ICT interests, rather than actually using ICTs to contribute to development understood as reducing inequalities; we increasingly have “development for ICTs” (D4ICT) rather than “ICTs for development” (ICT4D). To be sure, businesses have a fundamentally important role in contributing to economic growth, but there is still little agreement, for example, on how best to deliver connectivity to the poorest and most marginalized, so that inequality can be reduced. As my forthcoming book argues, we need to reclaim ICTs truly for development in the interests of the poorest and most marginalized. Tomas Lamanauskas (Group Director Public Policy, VimpelCom). Magic happens when people from different backgrounds are brought together to discuss challenging issues. This session will therefore not have any formal presentations, but will instead seek to engage the panelists in discussion amongst themselves and with the audience. We will generate new ideas that participants will be able to take away and apply in their everyday practices. Looking forward to seeing you on the Monday afternoon of Telecom World in Bangkok! I have become increasingly saddened and dismayed in recent years at the level of sexual harassment, and what I see as inappropriate and unacceptable behaviour by a surprising number of men at the ICT conferences and exhibitions convened by some international organisations. This ranges from generally loutish actions by some groups of young men, to what can only be called predatory behaviour by some older and more senior figures in the sector. Until the last couple of years, I had thought that such behaviour had largely disappeared, but from what I have witnessed myself, from what I have heard from women in the sector, and from what I have read, it is clear that action needs to be taken urgently by all those in the sector, and particularly those who are organising conferences and events. The ICT industry has for far too long been dominated by men, much to its disadvantage, and it is good that an increasing amount of publicity is being shed on the sexism that has come to dominate the sector more widely. In 2014, the Guardian newspaper ran an interesting series of reports on the subject, one of which was entitled “Women ‘belittled, underappreciated and underpaid’ in tech industry“, and in 2015, the BBC also featured a report on “Sexism in Silicon Valley and beyond: tech wake-up call” following the case brought by Reddit boss Ellen Pao against her former employer, venture capitalist Kleiner Perkins. However, this is the tip of the iceberg. UN Women Watch has defined sexual harassment as “Unwelcome sexual advances, requests for sexual favors, and other verbal or physical conduct of a sexual nature”, and has provided an excellent detailed document describing this in more detail and giving example of verbal, non-verbal and physical sexual harassment. Such behaviour can certainly be by both men and women, but the vast majority of perpetrators are men, and it is high time that concerted action is taken to stop it. As a first step, I am issuing this call for all international organisations in the field of ICTs to issues guidelines on expected behaviour at their events. I prefer guidelines to codes, because codes generally require policing, and the imposition of penalties or sanctions should anyone be found guilty. In practice, this is extremely difficult to implement and enforce. Guidelines, instead, reflect expected norms, and should be acted upon by everyone participating in an event. If someone witnesses inappropriate behaviour, it should be their responsibility to take action to ensure that the perpetrator stops. In far too many cases, though, people at present do not take enough action, especially when the harassment is by someone senior in the sector. This has to change. We must all take collective responsibility for bringing an end to such behaviour, so that everyone can participate equally at international ICT events without fear of being harassed because of their gender or sexuality. 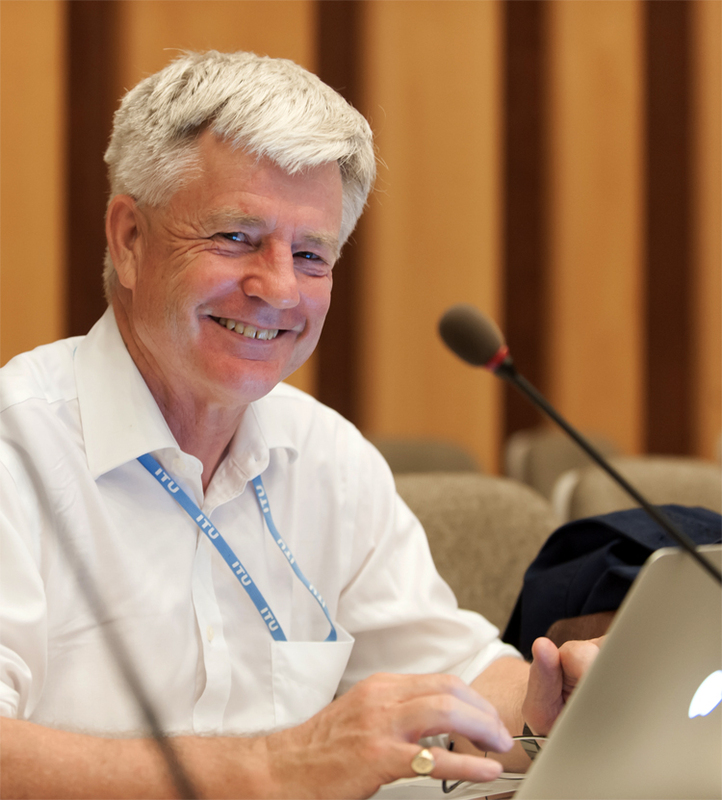 The Internet Governance Forum, has a short and straightforward code of conduct, which begins by stating that participants must “Treat all members of the IGF community equally, irrespective of nationality, gender, racial or ethnic origin, religion or beliefs, disability, age, or sexual orientation; all stakeholders of the IGF community should treat each other with civility, both face to face and online”. This could be more explicit with respect to harassment, but it is at least a start. One of the clearest and most detailed documents is the conference anti-harassment policy template, developed by the Geek Feminism Wiki. This has useful suggested texts of different lengths, with the shortest being “$CONFERENCE is dedicated to a harassment-free conference experience for everyone. Our anti-harassment policy can be found at: [URL for full anti-harassment policy]”. It goes on to give medium and full length policy templates, as well as suggestions for actions that participants and staff should take. I look forward to the day when all international ICT conferences do indeed have such guidelines on sexual harassment, and hope that this will begin to create a better, safer and happier environment where we can all work together more effectively to reach appropriate decisions about these important technologies and their use. Just under 200 people (including regulators, the private sector and civil society groups) have come together to discuss critical issues surrounding the switchover/transition from analogue to digital broadcasting at the Commonwealth Telecommunications Organisation’s Digital Broadcasting Switchover Forum (#DBS2014) taking place from 11th-14th February 2014. 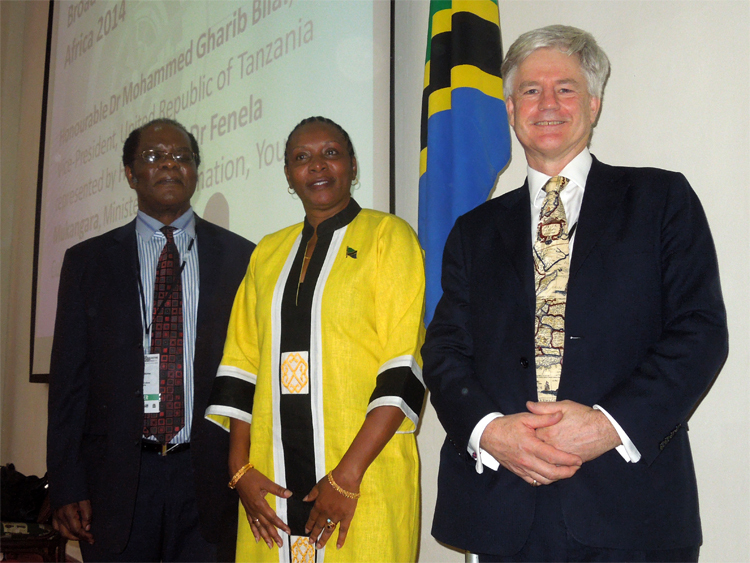 We were delighted that Hon Dr. Fenella E. Mukangara (Minister of Information, Youth, Culture and Sport of the United Republic of Tanzania) was able to open the Forum this morning. 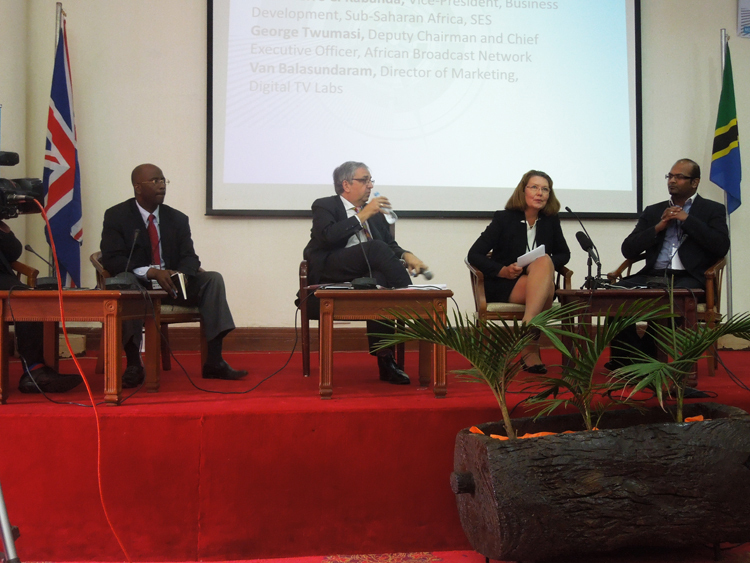 The importance for Africa – digital transition/switchover has considerable potential, especially in terms of the diversity of services it can offer, as well as the digital dividend it will provide through the reallocation of spectra. However, it must be used to serve the interests of all of Africa’s people, especially the marginalised, such as people with disabilities and those living in sparsely populated rural areas. 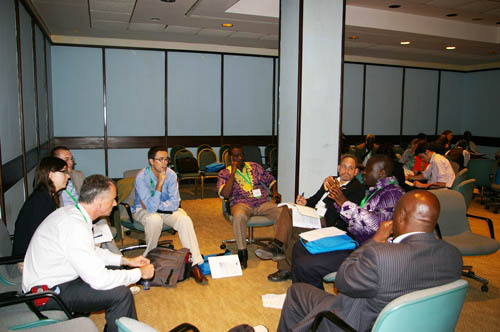 The potential for Africa – people living in Africa should not be only learning from the experiences of other parts of the world in terms of good practices (part of the purpose of this Forum), but should also be developing innovative solutions for the context of Africa, that can in their turn be used in other international contexts. We must build on the richness of African innovation. ensuring that appropriate information is shared with everyone in a diversity of languages. My own experiences of switchover – I recall my parents being really concerned about switchover in England, not fully understanding what was involved, but they were grateful that a free service for elderly people was provided to put in a set top box and help them to use it effectively. My mother can now benefit from all that digital TV can offer! This particularly reminds that it is not so much the technology that is the challenge, but rather that the most difficult thing to get right is how to ensure that everyone, and particularly the elderly, the spatially marginalised and those with disabilities, can really benefit from digital switchover. The conference is being broadcast live at http://www.canalupc.tv/media/simposium-upc-uoc . Ismael Peña Lopez’s comprehensive blog on the conference. This year’s eLearning Africa takes place in Lusaka, Zambia, later this week, and promises to be a great chance to catch up with colleagues working on ICT4D! I have been lucky enough to participate in all of the four previous eLearning Africa conferences in Ethiopia, Kenya, Ghana and Senegal, and they have always provided a useful opportunity to learn about some of the latest developments in the field. It is particularly good to meet African academics and activists committed to using ICTs to support the aspirations of poor and marginalised people across the continent. Thanks to all those at ICWE who have been working so hard in recent months to put on the conference – I hope it’s a great success. Reflections on hip replacement surgery - getting fit again!